Jeremiah feels good inside his own skin. That is, when he's in his own Brooklyn neighborhood. But now he's going to be attending a fancy prep school in Manhattan, and black teenage boys don't exactly fit in there. So it's a surprise when he meets Ellie the first week of school. In one frozen moment their eyes lock, and after that they know they fit together—even though she's Jewish and he's black. Their worlds are so different, but to them that's not what matters. Too bad the rest of the world has to get in their way. Jacqueline Woodson's work has been called "moving and resonant" (Wall Street Journal) and "gorgeous" (Vanity Fair). 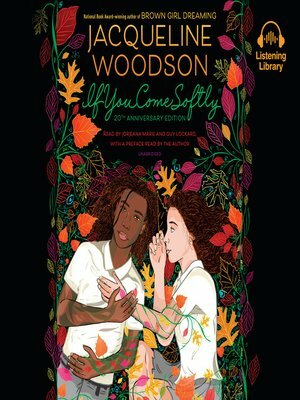 If You Come Softly is a powerful story of interracial love that leaves readers wondering "why" and "if only . . ."